Susan Elena Esquivel started dancing at age 5 beginning a lifelong fascination with form and alignment as well as the body/mind connection. She has been studying yoga for the past 25 years with a focus on the Iyengar method. She is a Certified Iyengar Teacher (CIYT) at the Intermediate Junior I Level and a Certified Yoga Therapist (C-IAYT). She is the director/owner of the Yogashala at Yoga with Susan Elena. While attending art school. Susan Elena turned to yoga seeking relief from her own back injuries. It was Iyengar yoga, that had a life changing effect on healing her back and providing that same discipline and meditation in movement that dance brings. It was that magical combination that led her to her first teacher training program and a commitment to the Iyengar method. Susan Elena is very fortunate to have built strong mentoring relationships with some of the most highly respected senior Iyengar teachers. The four senior teachers she is deeply indebted to and influenced by are Elise Browning Miller, Peentz Dubble, Patricia Walden and Gulnaaz Dashti. She completed Certified Senior Iyengar Teacher Elise Browning Miller‘s Yoga for Scoliosis Teacher Training Program and is a Certified Yoga for Scoliosis Trainer. Her classes are infused with the knowledge of spinal health gained in her ongoing apprenticeship with Elise from whom she learns firsthand the nuances of scoliosis and other spinal disorders. Working with spinal imbalances is one of her main interests and a way she hopes to ease suffering. Susan Elena is a member of the Iyengar faculty at Down Under Yoga in Boston, Massachusetts, where she studied and mentored with Certified Iyengar Teacher and Teacher Trainer Peentz Dubble, whom she credits with instilling in her what it is to be a student and the love of the fine art of teaching yoga. Currently, she continues her studies with Certified Advanced Senior Teacher Patricia Walden and travels to India regularly to learn from the source. She traveled to Pune, India to study with Geeta Iyengar in December 2015 and in November 2017. She will return to India in 2019 to further her studies with the Iyengars and Gulnaaz Dashti. Susan Elena is a member of INYAUS – Iyengar National Yoga Association of the United States and serves as a Board Member of the New England Iyengar Chapter IYANE. In 2013, she was honored to be the recipient of the Community Service Project Grant awarded by the Iyengar Association of New England (IYANE) to teach yoga to survivors of domestic violence in Western Massachusetts. She is also a member of the IYAC – Iyengar Yoga Association of Canada. She travels across Canada regularly to study and teach. Susan Elena is a nationally recognized sculptor/artist, loves nature, playing the cello and believes yoga is the gateway for her students to reconnect with their bodies and spirits. Through art and yoga, she endeavors to ease suffering and bring her students closer to a fuller, more joyful life. Her teaching is a reflection of her focused practice and studies over many years. 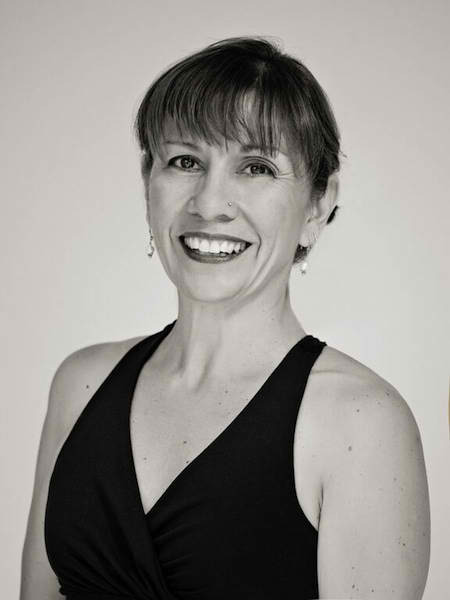 She is known for precision while taking a playful approach with skillful sequencing to all levels of study allowing each student to go deeper into the understanding of Iyengar yoga.